Gujarat is one of those travel destinations of India where different types of crafts are famous. There are several tribes and communities, who live across the state of Gujarat, are involved in such crafting and work. Leather work in Gujarat is also very famous along with other crafting like embroidery and kalamkari. Bhuj and Ahmadabad are the places where a wide range of leather worked products especially shoes and chappals are available along with other cities and villages in Gujarat. It is said that, in ancient times, wanderers used to use the skin of hunted animals to make regular garments for them. Leather work has originated from that only. In Gujarat, there was a rural community named Meghwals who have started this leather work and eventually it has become a big craft industry today. Originated from the Meghwals community, the leather work has spread over other different communities with diverse design and patterns. 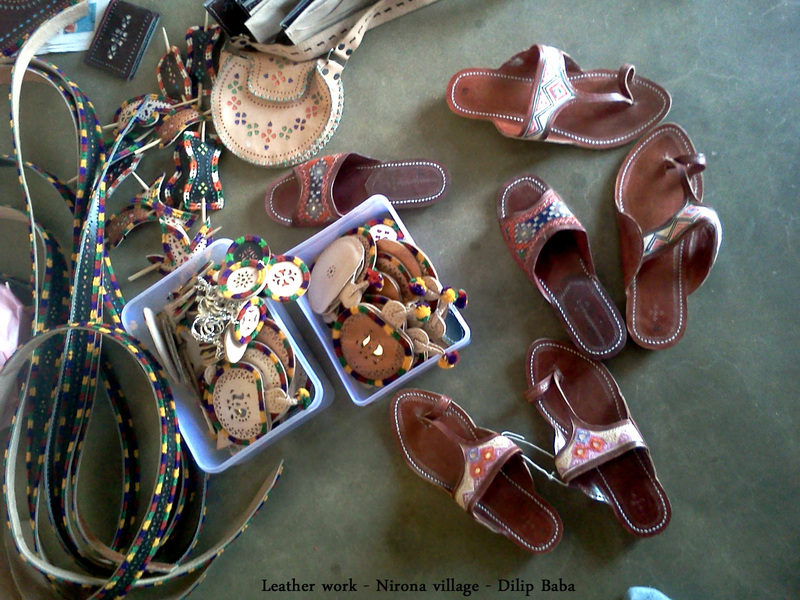 Kutch, being one of the central travel spots in Gujarat, has a diverse series of leather products to offer. 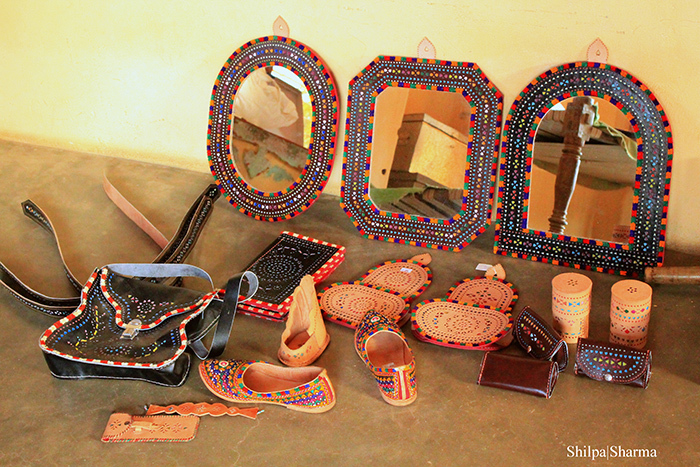 These different communities have mixed these different crafts with leather work to make them elegant and attractive. Bright colours like red, maroon, green, blue, while threads are hugely used in leather work to make them elegant and authentic. Places of interest in Ahmadabad include the communities that are involved in making such awesome crafts. It was only shoes and some garments that were available as leather products in early days, but now bags, accessories, home decors, wallets, belts, toys, horse saddles, camel decorations, bangle boxes, Mojadis, Chappals, spectacle covers, combs, wall hangings, mirror covers and lot more leather products are available throughout the states. Bhuj, Ahmadabad, Kutch are some of the prominent places in Gujarat where you will get authentic leather products.